I know everybody is waiting for me to release THE TOURNAMENT OF SUPERVILLAINY and I’m extra excited about that. However, in the meantime, I’ve got two new releases which I hope people will check out. Robbie Stone thought he was on the right side of history. He wanted to make a difference by protesting Butterfly, a megacorporation slowly taking over the United States in the near feature. But after he’s attacked by a group of assassins, Robbie’s rescuer, a mysterious white-haired girl named Jane, makes a startling claim: the assassins were sent to kill Robbie and prevent his fate of becoming a merciless dictator responsible for the genocide of millions across the globe. Horrified by his destiny, Robbie must now face a choice: give up his vendetta against Butterfly or risk becoming the worst mass murderer the world has ever seen. I’ve always been fascinated by time travel morality. In this case, Robbie is the guy who might turn into a monster in the future. Is it right to kill him before he can? Is history more complicated than heroes and villains? Frank and I had a blast writing this. I also got a chance to get in on the Young Adult dystopian sci-fi market. It’s not quite cyberpunk but nicely sets up a world where those qualities are facts of life. Honor is just a word. Throughout fiction, there have always been heroes who have fallen from grace. Champions of honor, decency, and order who have become villains through some traumatic event or a deep personal flaw. 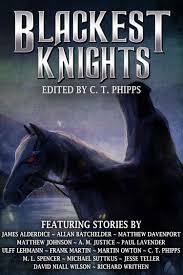 Blackest Knights is a collection of 19 tales by some of independent fantasy’s best authors that follow a collection of those heroes who fell to temptation. From tales of bloody-handed hypocrites to space pirates, you’ll find some truly fascinating works within. Contains fiction by: David Niall Wilson, C. T. Phipps, James Alderdice, M. L. Spencer, Paul Lavender, Ulff Lehman, A. M. Justice, Matthew Johnson, Matthew Davenport, Frank Martin, Allan Batchelder, Martin Owton, Richard Writhen, Jesse Teller and Michael Suttkus. I am a huge fan of dark fantasy and grimdark storytelling. More the former than the latter. I’m also a huge fan of independent fantasy writing. So, I decided to combine two great tastes which go great together and make an anthology featuring my favorite indie fantasy authors writing stories about dishonored heroes. 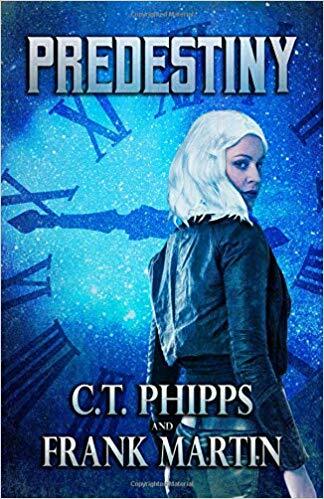 Fans of my Bright Falls Mysteries, Straight Outta Fangton, Wraith Knight, and Lucifer’s Star series will also note that I’ve included stories from those worlds inside. Its paperback is already available and the ebook release is on October 20th!